Newstalk ZB broadcaster Heather du Plessis-Allan has been censured for Pacific Island slurs in a ruling that contains uncharacteristically strong language from the official broadcasting watchdog. It may end up costing NZME more than the $3000 the company must cough up in costs. On her Newstalk ZB show Wellington Mornings this week, Heather du Plessis-Allan praised Jacinda Ardern for paying the grocery bill of someone without a wallet. But about an hour earlier, the Broadcasting Standards Authority upheld complaints about Heather du Plessis-Allan telling listeners the government shouldn't pay the bills of other Pacific Island nations. “The Pacific Islands don't matter. They are nothing but leeches on us,” she said. Unsurprisingly that upset a lot of people who heard it at the time - or later on RNZ's Mediawatch. The BSA’s ruling said her comments breached the good taste and decency standards - and those for discrimination and denigration. ZB's owner NZME has been ordered to pay $3000 in costs. The comments were “inflammatory”, said the BSA, and “devalued the reputation of Pasifika people within New Zealand - including New Zealanders of Pacific origin”. “Her opinion is in line with the robust opinions offered in talkback ... which has been recognised as a special category of radio by the Authority," said NZME. But the BSA decided that “even in the talkback context, these statements went too far”. Things are said in the heat of the moment in talk radio to spark discussion - things callers and hosts alike may not say given more time for reflection. But in this case, du Plessis-Allan re-affirmed them two days later. "I will double down on this. I do not regret what I said because I was not talking about people living in this country or the people themselves. I was talking about the Pacific Islands and the people who run it [sic]," she told her listeners. She also took a big swing at critics of her comments - including Privacy Commissioner John Edwards. "Go back to university and do some more training. You are not good enough," she said. The Authority considered du Plessis-Allan was disingenuous in subsequently arguing that she had been referring to the Pacific Islands as leeches, not the people themselves. “Countries are not just plots of land. They are the land and their people,” the Authority stated. The authority is not usually so strong in its condemnation of a broadcaster. Underlying all this was Heather du Plessis-Allan's view that New Zealand aid to the Pacific Islands has not been well spent - something worth discussing in light of the Pacific Reset policy. But du Plessis-Allan misled her listeners when she seized on Niue as an example. She told her listeners pension portability for Niueans amounted to “welfare sponging”. But she didn't say Niue is a self-governing territory affiliated to New Zealand and Niueans are also New Zealand citizens. Niueans - or other Pacific people for that matter - wouldn't get a pension if they were not entitled to one by living here in New Zealand in the first place - and incentivising pensioners to relocate could help reduce economic dependence on New Zealand that she seemed so worried about. Employers using temporary migration work visas and the New Zealand companies exporting roughly 13 times as much as New Zealand imports from Pacific Island countries would also disagree with her claim “we get nothing from them”. The award of $3000 in costs doesn’t sound a significant - but it is. The BSA only awards costs up to a maximum of $5000 to signal serious breaches of standards. 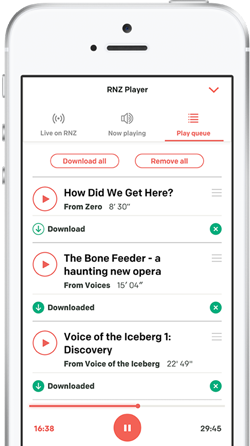 “NZME is a large and experienced broadcaster, with staff who ought to be familiar with their obligations under broadcasting standards,” it said. The BSA can order a broadcaster off the air for up to 24 hours, but only in exceptional circumstances. The last time it did that was 12 years ago. 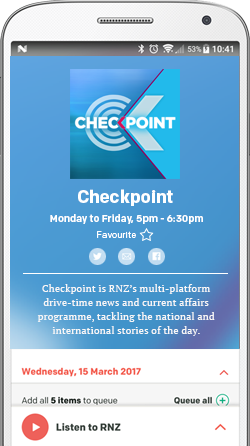 NZME has instead been ordered to broadcast a statement summarising the decision on the Wellington Mornings programme - and an apology from its host. The BSA and du Plessis-Allan’s employers at NZME agreed on one thing: she has already been subjected to heavy public criticism for what she said in September last year. Recently she tweeted from a vigil in Wellington that she was “standing with our Muslim community” after the Christchurch attacks. Some followers replied to remind her she hurt Pacific Islands communities with her comments. "Our priority is to do the best we can for all New Zealanders, and honour those who have lost their lives,” he said. It remains to be seen what that means on air at Newstalk ZB and the other ZB hosts who have a habit of provoking people to engage - and enrage - the audience because it’s good for business. It’s also an issue for NZME stablemate the New Zealand Herald which is preparing to ask readers to pay for ‘premium content’ online. The Herald publishes the opinions of du Plessis-Allan and other ZB hosts each week and the cost of embarrassments like this BSA ruling may be greater than $3000 in costs to the Crown.